The Senate judiciary committee released thousands of documents Wednesday that detail accounts of a meeting two years ago at Trump Tower from Donald Trump Jr., White House adviser Jared Kushner and a Russian attorney. 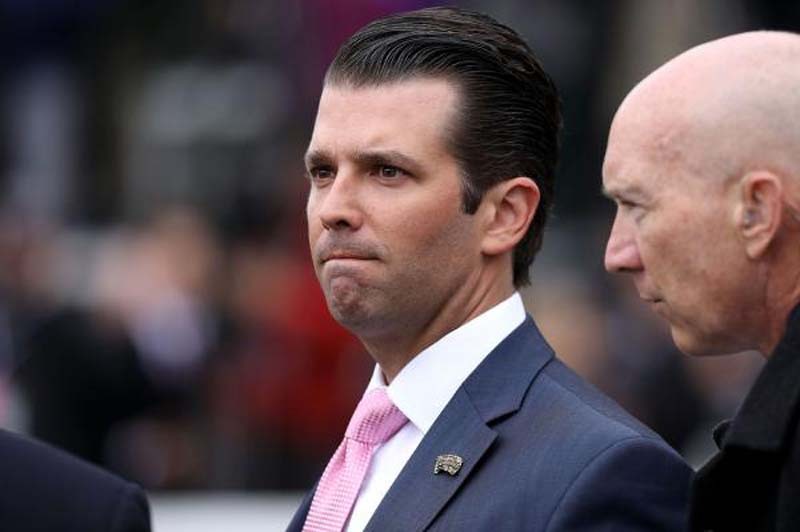 The meeting, which involved discussions of political "dirt" on former Democratic presidential nominee Hillary Clinton, occurred in the office of Donald Trump Jr. about five months before the 2016 election, the documents show. Committee Chairman Chuck Grassley approved the 2,500 pages for release. Trump Jr. has previously acknowledged he met with Russian attorney Natalia Veselnitskaya -- and said she claimed to have damaging information about Clinton that could help Trump's campaign. Trump Jr. said the meeting provided no meaningful information. "The meeting was instead primarily focused on Russian adoptions," he said in September testimony to the judiciary committee. "At the time I thought I should listen ... to the extent that they had information concerning the fitness, character, or qualifications of any presidential candidate." Veselnitskaya, who has ties to the Kremlin, said potential Russian sanctions were discussed at the meeting. The transcripts say Trump Jr. didn't recall informing the president about the meeting, which has been a key focus of Special Counsel Robert Mueller's Russia investigation. Wednesday's release also contains transcripts and notes from several other witnesses at the meeting. Kushner attended the meeting, but was not interviewed by the committee. In a statement to lawmakers, he told the panel he had "hardly any" Russian contact during the campaign -- and he didn't remember the meeting at Trump Tower. "I am not a person who has sought the spotlight. First in my business and now in public service, I have worked on achieving goals," Kushner said in his statement. "Because there has been a great d al of conjecture, speculation, and inaccurate information about me, I am grateful for the opportunity to set the record straight." Wednesday's release also included one page of notes written by then-campaign manager Paul Manafort.